This game is still under active development. Be aware that any unused content you find may become used or removed in the future. Please only add things to the article that are unlikely to ever be used, or went unused for some time. If they do get used, please remove them from the page and specify in the edit summary! 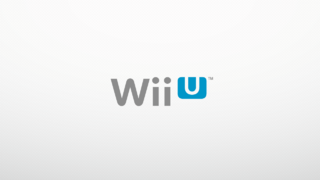 The Wii U is Nintendo's third disc-based home console. Its main gimmick over its predecessor was its reliance on the GamePad, a large tablet controller which added touch screen functionality to games and could also function as a main screen in the absence of a TV. Despite a generally solid first-party library, it suffered from a severe lack of third-party support. Additionally, Nintendo couldn't reduce the price due to high production costs, the GamePad was considered too bulky/redundant/confusing by most third-party developers, and customers were thrown off by the all-too-similar name to its predecessor. Unsurprisingly, it got discontinued after four years of support and the Switch very quickly came in its place. DUMMY graphics. Lots and LOTS of DUMMY graphics. The keyboard has two unused modes: handwritten and T9 keypad (phones). There might be some other stuff for the keyboard as well. Nintendo 64 Virtual Console games have config files for each game. Maybe some of those are for unreleased games. Found within the folder /storage_mlc/sys/title/00050010/10066000/meta are some dummy boot screen images in standard TGA format. The title it belongs to is identified as simply "ecop". The dummy icon is also used in discs' update partitions. 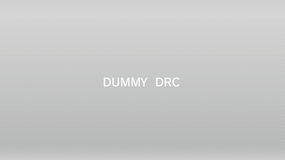 "drc" is the internal name for the GamePad. The system transfer file has a few graphics left in its "meta" folder, instead of some placeholders. This suggests that originally the transfer tool was going to be an app rather than a mode in the system settings. The splash boot screen for the DRC and TV are the same, just different sizes. 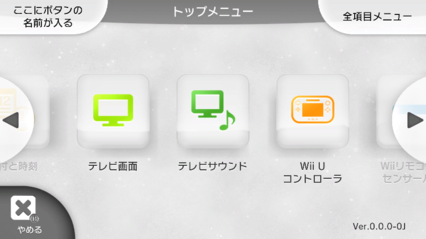 These are all early versions of the icon graphics used for the default apps in the Wii U. They are located in a file called OfficialAppIcon.szs, which is found in a couple of directories, with one exception. Something you'll notice with the early icons (counting out the ones with 仮's) is that they sport a darker version of the spotted background used in the final icons. Information(used for notifications) AppIconInformation Just a darker version of the info icon. Has the same name as the used one too. Health and Safety Information AppIconBaristaSafe Although the color is different and the exclamation point is off point, the name is interesting. "Barista" is a person that prepares espresso-based beverages, like coffee. References like this are very common in the Wii U, given its codename. Parental Controls AppIconPcl Obvious color and shading difference. Wii Karaoke U AppIconOrchestra Wii Karaoke U is a default app in Japanese Wii U's. Compared to the final icon, the early version is pretty lacking. (仮) is (Temporary). Daily Log AppIconPly Some shading that isn't in the used one, with a darker color. Mii Maker AppIconSugar Very drastic design change. The early icon is actually similar to the one used on the 3DS, except it would've been in glorious HD. Wii U Chat AppIconDoors Very early design for Wii U Chat's icon. 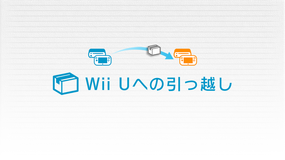 The picture on the earlier one is actually a door, as that is what Wii U Chat's codename is: doors. System Settings AppIconSet Obvious color change as well as size difference. System Menu iconTex.tga This is the only one that is not found in OfficialAppIcon.szs. Instead, it is found in both /10010109 and /1001010a which is the Home Menu. The logos are practically identical minus a few small touch ups. The two key differences is that the early remnant is positioned differently and has a trademark symbol, while the final does not. Hidden inside 00050010/10040100/content/Us/Model/AccountTvCap_Us/gsys.bfres are two early screenshots of the Wii U. Added new user to this unit. An early screenshot of the account creator, named acsCreate_sys1_001A0. It is copied with different language tags at the end for each supported language, as if it were "translated". A screenshot of a very early build of the System Settings app. It even uses the prototype Gamepad design! The name of the graphic is update. This placeholder icon is used in the USA Wii U eShop metadata for the Nintendo 3DS version of Captain Toad: Treasure Tracker (and its demo, but only the former can be seem through the eShop interface as non-Wii U demos's icons don't appear in the Wii U eShop interface). The icon has the last modified date of Tue, 29 Nov 2016 01:11:29 GMT. Unable to delete FS client for the SD card! Unable to add FS client for the SD card! Unable to mount the SD card! It seems the developers behind the Nintendo DS Virtual Console had the ability to switch ROMs on the fly. "Hachihachi" seems to be the internal name of the emulator itself. The internal project name of the Nintendo 64 Virtual Console emulator is "VESSEL", according to multiple strings in the rpx. There's the revision number present in Common/System/revision.txt. It's the same for every region. There's a timestamp present in Common/System/timeStampV.txt or Common/System/timeStamp.txt. Again, it's the same for each region. The Nintendo TVii option was removed on August 11, 2015 following the discontinuation of the service. 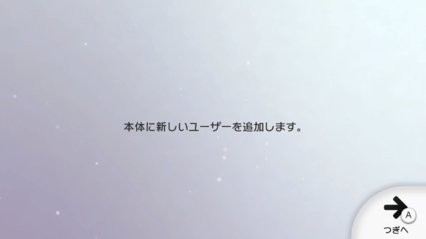 The application itself wasn't actually removed however, and can still be opened through the quick start menu, although it gives a network error message after loading. In an earlier version of the menu (although in which version it was changed is currently unknown), the menu design was completely different from the current one, with icons in different positions and an overall different menu design. 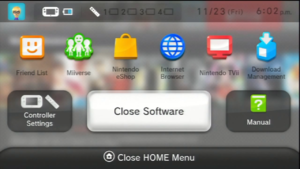 An incomplete (missing button at bottom) picture of the Wii U's older Home Menu design. This page was last modified on 1 April 2019, at 15:19.